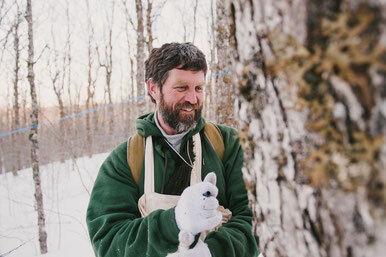 Chronology of maple sugaring, by Victor Marten, our "resident" carver and friend. Every spring (March and April) we gather the clear sap from our sugar maples and transform it into pure maple syrup over a wood fire. Sugar Season is in the spring, typically a 3 to 6 week period between the end of February and mid-April. The season begins when the trees first wake up and ends when they start to grow: once the buds begin to swell, the sap doesn't make good syrup and we're done! 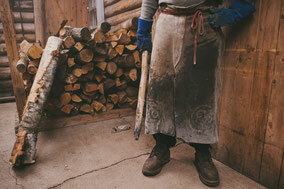 Then we move on to clean up, tapping out firewood and, of course, welcoming visitors to experience maple year round. Sign up for an indoor 30-40 minute tour. Hear our stories. 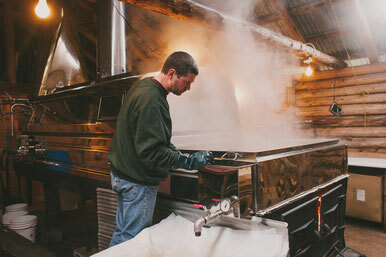 See where we make maple syrup. Taste the season. Make memories. Tours happen hourly between 10 and 3 during regular hours. $5/$3. Want the whole package? Book MAPLE MAGIC - a reserved prepaid package that includes brunch, a tour and sugar on snow. NOTE that this package IS BY RESERVATION ONLY and you need to book online. Check out our 2018 Sap Journal. And here are the Sap Journals from past years! Book a sugar camp tour. It's an indoor 35 - 40 minute tour. 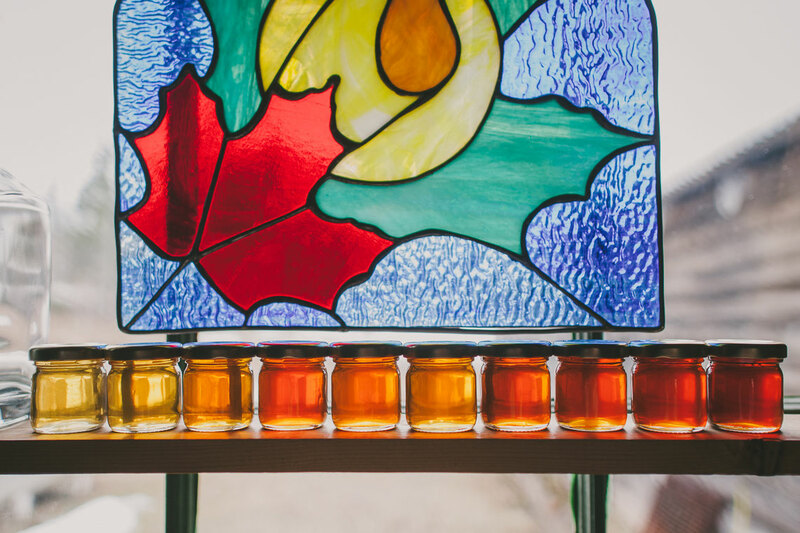 Hear about the history of maple syrup + our Sugar Moon story. See how we collect sap + turn it into syrup over a wood-fire. Sign up in the restaurant. Adults $5. Kids 5-12 $3. Add sugar-on-snow + brunch to your tour - book our all-inclusive MAPLE MAGIC PACKAGE.